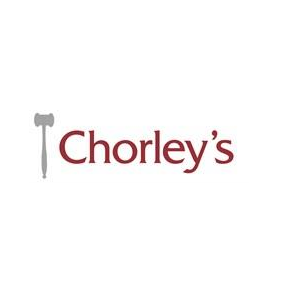 Chorley’s is located just a few miles from Cheltenham, and close to both Gloucester and Stroud, with easy access from the M5, M4 and A40. We have two large salerooms within the monastery grounds of Prinknash Abbey and offer unlimited free parking and café facilities. From M5, leave at junction 11A and take the A417 exit towards Cirencester. After approx 1 mile, take the sliproad up to the roundabout and take the 3rd exit onto the A46 towards Stroud. Keep on the A46 and go straight ahead at the next roundabout, then the road will wind up a hill for approx 3 miles. At the top of the hill, the entrance to Prinknash Abbey Park is signposted to the right. Follow the driveway down the hill, and bear left into the Main Carpark. From M4, leave at junction 15 and take the A419 towards Cirencester. After approx 15 miles, the road becomes the A417 and continues towards Cheltenham. After approx 14 miles, turn left at a roundabout by the Air Balloon public house and continue on the A417 down Crickley Hill towards Gloucester. Take the 1st exit sliproad after approx 2 miles and then the 1st exit at the roundabout onto the A46 towards Stroud. Keep on the A46 and go straight ahead at the next roundabout, then the road will wind up a hill for approx 3 miles. At the top of the hill, the entrance to Prinknash Abbey Park is signposted to the right. Follow the driveway down the hill, and bear left into the Main Carpark. From A40 from Oxford, travel towards Cheltenham on the A40 for approx 27 miles then turn left onto A436. At a double mini roundabout head straight across, and continue for approx 2 miles. At the next roundabout by the Air Balloon public house take the 2nd exit onto the A417 down Crickley Hill towards Gloucester. Take the 1st exit sliproad after approx 2 miles and then the 1st exit at the roundabout onto the A46 towards Stroud. Keep on the A46 and go straight ahead at the next roundabout, then the road will wind up a hill for approx 3 miles. At the top of the hill, the entrance to Prinknash Abbey Park is signposted to the right. Follow the driveway down the hill, and bear left into the Main Carpark. Gloucester is the nearest station, approx 4 miles from Prinknash Abbey Park. Taxis are usually available from the rank outside the station. we have valuers on hand at our Prinknash salerooms to view any items you wish to bring in.